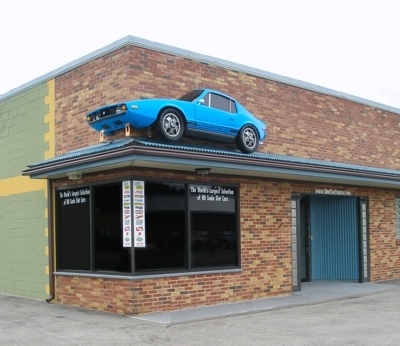 A Refuge in The Pursuit of Half-O Model Motoring! The largest H.O. slot car assortment in the world! GENERAL CAUTION: The following hobby is known to be highly addictive! Outbreaks of spontaneous Regression Therapy are commonly reported. Those individuals geared towards high octane competition or scale motoring memories are especially susceptive. Click here to receive e-mail updates about SlotCarCentral! SlotCarCentral.com Is An Eclectic Electric Slot Race Car Collection begun in the 1960's slightly before birth. The final of four boys, I got left with all the toys! The Intent of the Site is to be a useful reference as to what was made, what one may have owned, what one may desire to re-aquire, or just downright Need-To-Own, in Half-O-Gauge Model Motoring. SlotCarCentral; LLC. 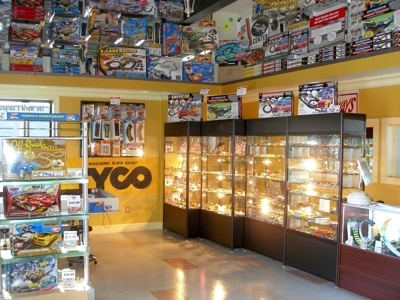 Specializes in ALL HO ( ~ 1/64th to 1/87th or so) Scale, Original Equipment Manufactured, Vehicles, OEM Parts, Store Displays, Race Trophies, Test Shot & Prototypes, Advertising Artwork & Other OEM Memorabilia, Minutia & Unique Slot-Oddities. We Strive to perpetuate a hobby that has been a theme throughout my life. Race often, but stay in the groove. After all, You gotta be In It, To Win It. I am available for Reference, Authentication, Wholesale or Online Sales, & Remain Very Interested in Purchasing HO Scale Slot Race Assortments of any kind.